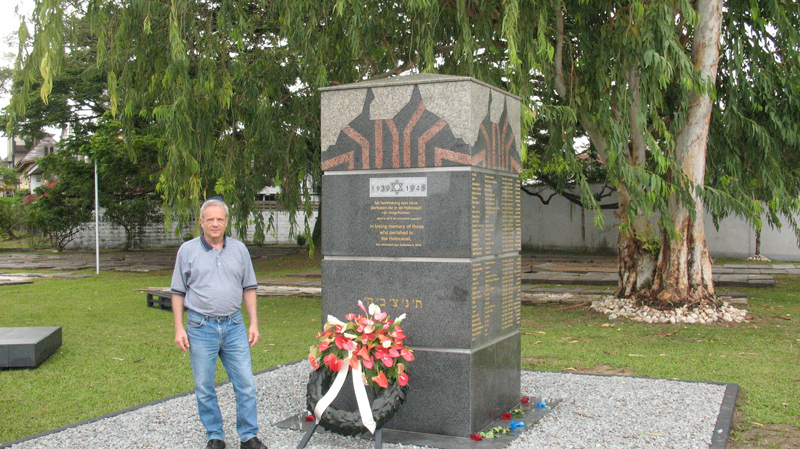 Jacob Steinberg, Kulanu Canada board member, in front of the Holocaust memorial in Suriname. Jewish history in Suriname began in the 1630s. In Portugal, the Inquisition left Jews no choice but to convert to Christianity (The Spanish Inquisition gave Jews the option to leave Spain). Those Portuguese Jews who could do so went into exile. Many escaped to Holland in 1600 where there was freedom of religion. From there, a group of Jews made their way to Recife in northern Brazil, and on to what is now Suriname. The group settled on the banks of the Suriname River near Thorarica, near the present-day capital Paramaribo. In 1652, another contingent of Jews arrived along with Lord Francis Willoughby, the English Governor-General for the West Indies who claimed the country for England. In 1664, after the French occupied Cayenne (French Guyana), 200 Jews followed the Amsterdam-born colonizer David Nassy to Suriname. Nassy was granted the right to establish a colony he called Jodensavanne, (Jewish Savannah), the Portuguese Jewish Nation or Jerusalem on the River. The Jews from Thorarica and Casspora moved to Jodensavanne. In 1667, Holland and England signed the Second Breda Treaty. Suriname went to Holland. In exchange, New Amsterdam (today’s New York City) went to England. The Jews of Jodensavanne established the sugar plantations which became the backbone of the country’s economy. In recognition of the Jews’ importance, the British colonial government granted several special privileges: freedom of religion, permission to build synagogues and Jewish schools, the right to their own court of justice, and a private civic guard. Those privileges stayed intact even after the country was captured for the Dutch province of Zeeland in 1667. The Jews of Suriname were the only Diaspora community ever to have complete political autonomy before the founding of the State of Israel. The graveyard, with its elaborate gravestones, is a testament to the wealth and power of the community. By 1760, Jews owned 115 of Suriname’s 400 plantations, and hundreds of slaves. The power didn’t last. In 1712, Suriname was invaded by pirates. The prosperous Jews had to pay most of the tribute they demanded. Between 1765 and 1795, those financial losses were compounded by social, political, and financial changes: the price of sugar dropped, loans given by Jews went unpaid, and slaves rebelled. The plantation economy collapsed. Most Jews left Jodensavanne and moved to Paramaribo, where they traded their agricultural past for new lives as professionals, merchants, artisans, and peddlers. Then, in 1832 on Sept. 10, a fire raged through Jodensavanne, destroying everything, including the 147-year-old synagogue. The jungle has reclaimed what little was left. Today’s Jewish community is a remnant of the past, but it is determined to survive. A few years ago, the Sephardic and Ashkenazi Jewish communities merged, and changed from Orthodox to Liberal. There is no longer a rabbi, so the cantor directs the services at the magnificent Shalom Synagogue, built in 1835. (The smaller old Zedek v’ Shalom from 1735 is rented out.) In 2008, the community completed the renovation of the 148-year-old Mikvah with the help of donations. Currently, the community is made up of about 100 members. 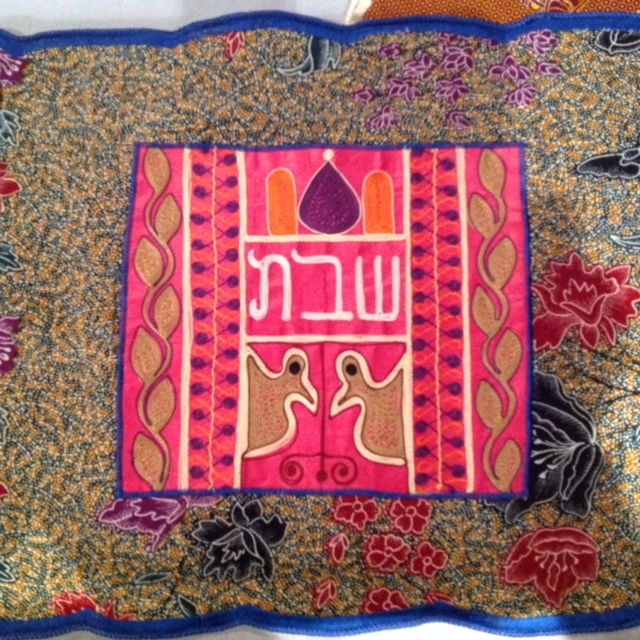 Recently, the community completed the renovation of the former Rabbi’s apartment, and it is now rented to tourists and guests, a tempting spot for a fascinating visit.